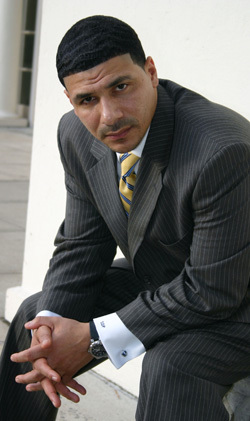 CNN Educational Correspondent, Dr. Steve Perry, will appear Thursday August 16, 2012 at the Peoria Woodruff Career And Technical Center (the former Peoria Woodruff High School) at 5:00 to 8:00 PM. This forum and his appearance will be for both parents and teachers. Dr. Perry, the founder of both ConnCAP (The Connecticuit Collegiate Awareness Program) and Capital Preparatory Magnet School in Hartford, CN., is one of the nations most sought after speakers and educators. Since Capital Prep's inception it has not failed to deliver college ready students receiving national notariety for sending a record 100% of it's graduates to 4 year colleges annually. In addition to being a regular contributor to CNN, Dr. Perry also appears in the documentary "Black In America", a special "Perry's Principles" on Anderson Cooper 360 and is in the process of producing a new show called "Push Has Come To Shove" which is designed to describe the steps necessary to ensure the return of American schools back to the top of global education ranks. Pastor Harvey Burnett and the Peoria Pastor's Assn. is proud to be instrumental in Dr. Perry's appearance in Peoria, coordinating efforts with Peoria School District 150 to bring this dynamic talent front and center to Peoria educators and parents. We feel that we will be blessed to have a man of this calibur, especially in light of the upcoming 2012-13 school year and push towards educational reform and progress in Peoria Public School District 150. For further information call Peoria School District 150 at (309)672-6512 or The Peoria Pastors Assn. at (309)688-6599. Question of the day...How can a teacher have a 5 year old child for 6 hours a day every day, he has no learning disability and he/she STILL doesn't know how to write or read? First the heart has got to be in it...secondly the methods must improve or change and third the opportunity must be maximized and a relationship built. Dr. Perry YOU are welcome to my house, church and community ANY DAY! I'll give more on this after the evening session...Remember 5:00 PM at Woodruff. Be there if you can.